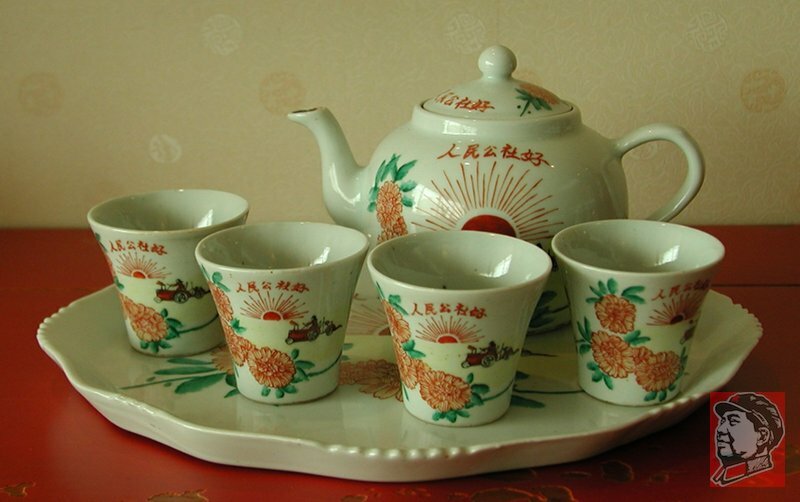 This tea set is a true gem from the Cultural Revolution. The set has 6 pieces - teapot, serving tray and 4 small cups, all with the same scene hand painted on each piece. 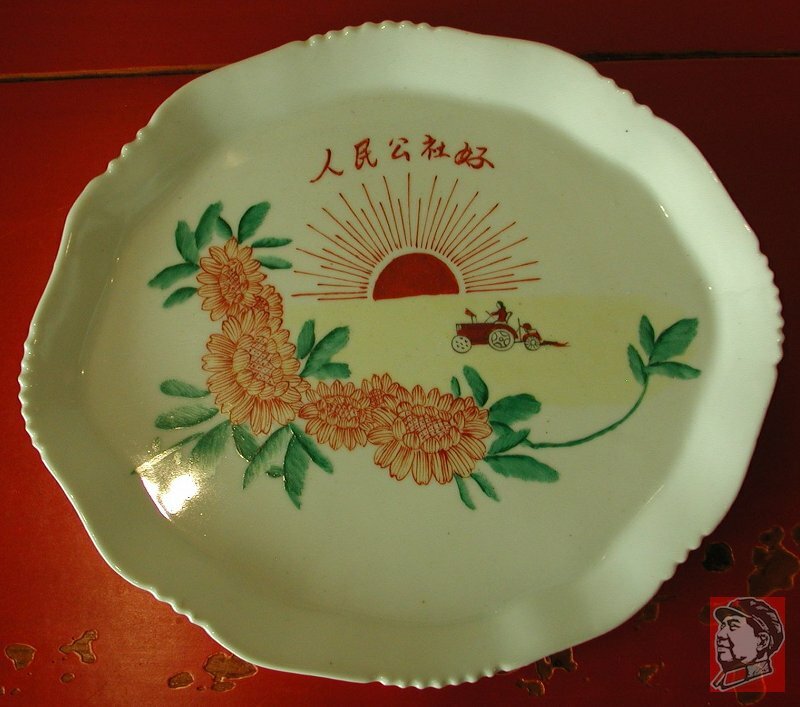 Each hand painted piece has the same idyllic scene - tractor plowing the fields, flowers in the foregrounds and the sun in the background. 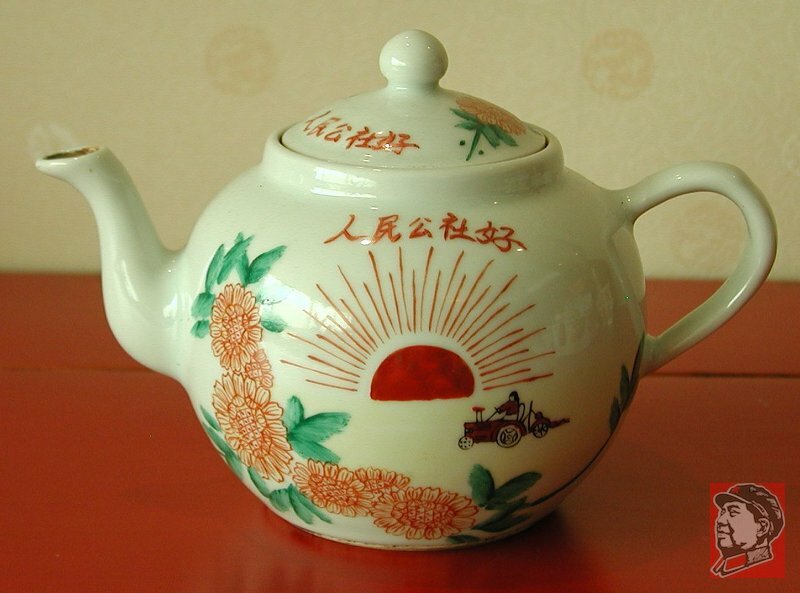 The front of each piece carries the slogan, "The People's Commune is Good" and the back of the teapot and cups is inscribed with, "Forever Loyal to Mao Tse-Tung". 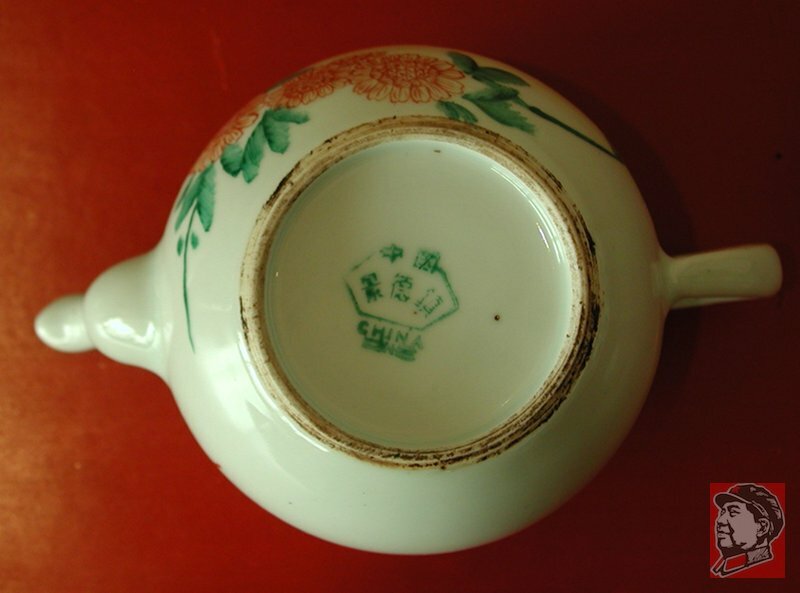 The teapot is 12cm (4.75 inches) high; the serving tray is 30cm x 26cm (11.75 x 10.25 inches); and the cups are 6cm (2.3 inches) high. 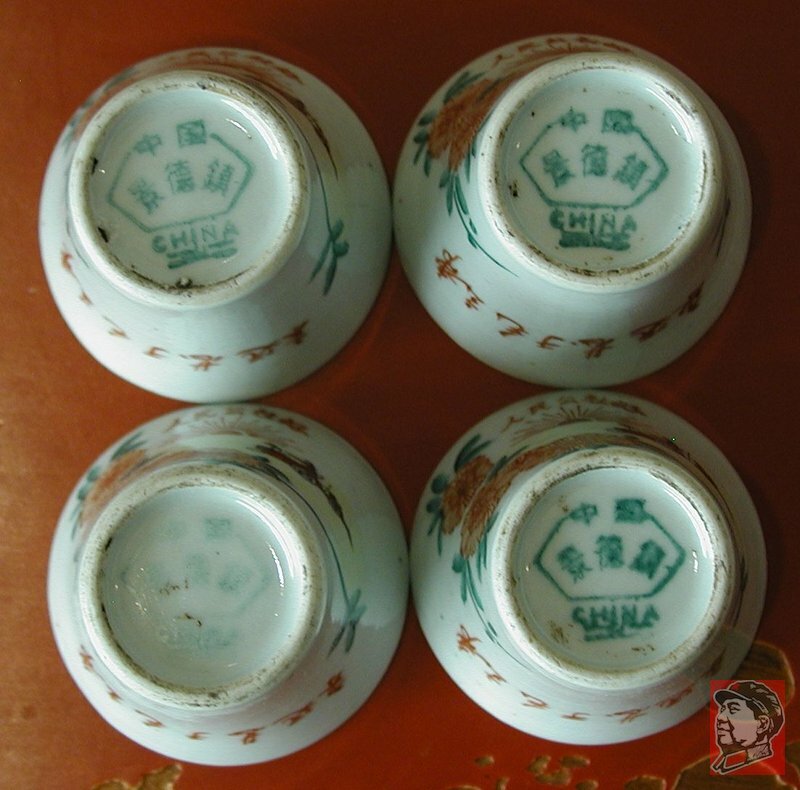 The bottoms are marked as being from the famous porcelain making area in China, Jing De Zhen, but not dated, although this is clearly from the Cultural Revolution era.